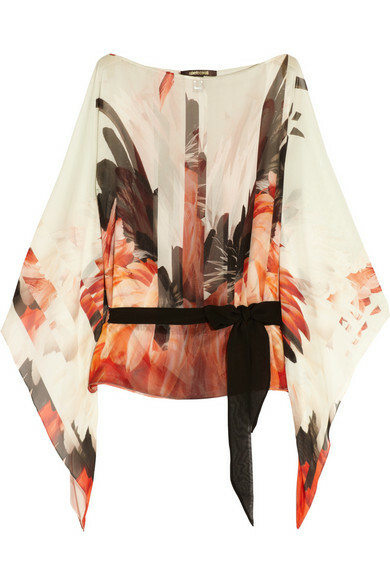 Our eye candy for this week is this prited silk-chiffon top by Roberto Cavalli. This top will look fabulous with skinny jeans, jeggings or a a pair of black shorts. You can grab this piece here for £475.